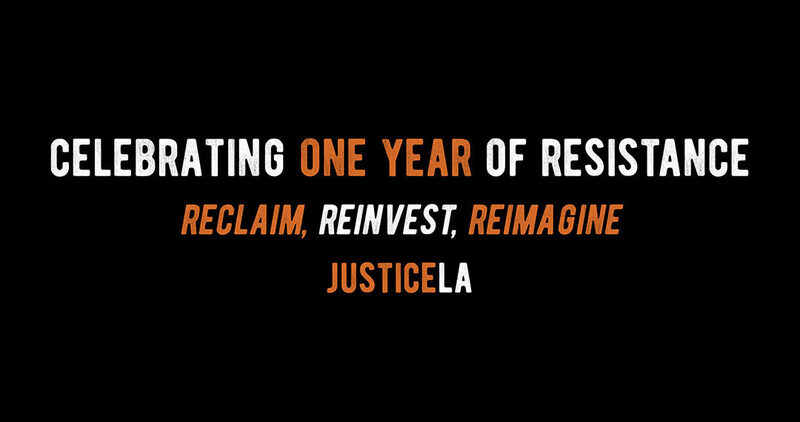 JusticeLA Celebrates 1 Year of Resistance! 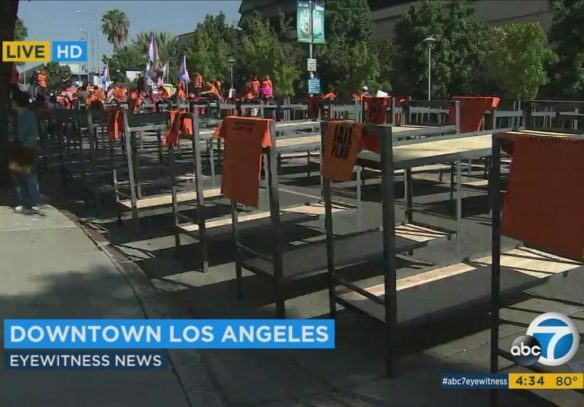 One year ago today, community members delivered 100 jail beds to the Los Angeles County Board of Supervisors in a clear statement of opposition towards the county’s $3.5 billion jail expansion plan. Our message was simple: invest in communities, not jails. We reclaimed “public safety” as the measure of how well we meet life-sustaining needs — housing, healthcare, education — rather than how many of our people are behind bars. We reimagined a Los Angeles where people are not caged, but instead, treated with the care they need in their communities. And we continue to demand that Los Angeles County reinvest billions, not on jails, but on community-based alternatives to incarceration and the future of our young people. 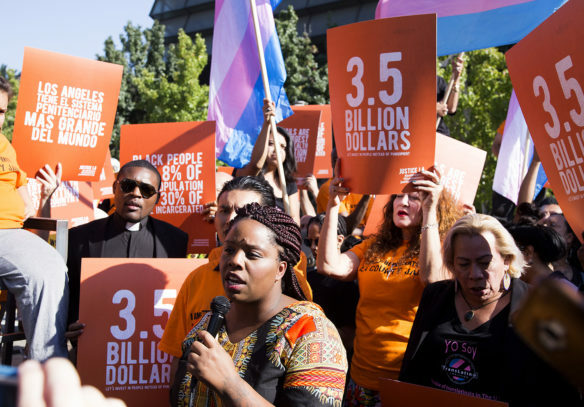 Over the last year, the JusticeLA Coalition has built on nearly a decade of resistance, engaging thousands of people, locally and nationally, in this fight. From town halls and community panels, block parties and massive rallies, to evocative creative and cultural work, we have amplified the visibility of our struggle and flexed our collective muscle. Although opposition to the jails is rapidly growing and statewide pressure for criminal justice reform increases, the county moves forward with their poorly thought out and harmful jail plan. The Los Angeles County Board of Supervisors continues to plow through with an opaque process that intentionally excludes the voices of our community. The JusticeLA Coalition will not stop shining a light on incarceration in Los Angeles and fight at every step of the way until this jail plan is stopped. We are now at a critical juncture — ground has not broken on jail construction and contracts have not been approved. Now is the time to flex our muscles once again and show L.A. County once and for all that we will not sit idly by while they build jails that will incarcerate our children. The change we want to see in our state and in our country starts at home, and when your home is the largest jailer in the world, anything other than change is unacceptable. Hey Buddy!, I found this information for you: "JusticeLA Celebrates 1 Year of Resistance!". 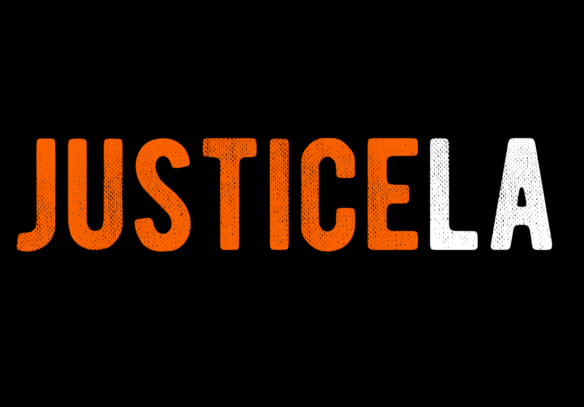 Here is the website link: http://justicelanow.org/1-year-of-resistance/. Thank you.